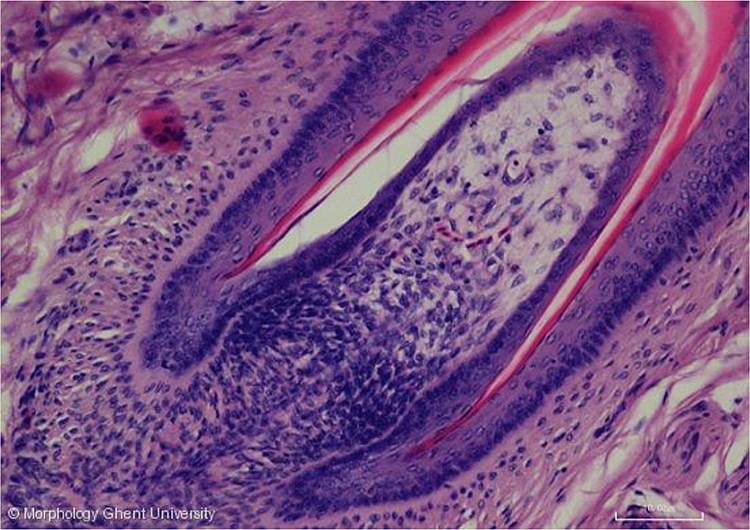 When growing of a new feather starts, mitosis of the apical cells in the papilla produces pulp cells which will form the inner pulp, an inner tube of loose mesenchymal reticulum that continuously grows from the base of the forming feather while getting resorbed at the apex. The gelatinous pulp is richly vasculated in order to provide nutrition to the developing feather. A single axial artery runs upward in the middle of the pulp and ramifies in a network of capillaries at the top. The epidermal layer covering the pulp forms the inner pulp membrane that consists of a germinative and a corneous layer.